"This is in no way a science or guarantee; it's simply a few suggestions with which many bloggers have found success.while with these suggestions you can improve your SEO and will get more Traffic"
I want to share you Some Suggestions to Improve traffic & SEO of your blog. Set your blog to Send Pings: When this setting is activated, your blog will be included in various "recently updated" lists on the web as well as other blog-related services. Activate Your Navbar: Do this and you might start to see the effects right away! One of the features on the Blogger Navbar is a button called NextBlog - click it to visit the next Navbar-enabled blog. Install Email This Post: If you use Email This Post on your blog, people will be able to forward your posts to friends. This may not have an immediate impact on your site stats but it enables others to publicize your blog for you. Turn on Post Pages: By publishing every post as its very own web page with Post Pages, you ensure that your entries are way more link-able and more attractive to search engines. Turn on your site feed: When people subscribe to your site feed in their newsreaders, they're very likely going to read your post. Add your blog to Blogger's listings: When you add your blog to our listings it shows up in Nextblog, Recently Updated, and other places. It's like opting-in to traffic. Write quality content and do it well: If your "style" is bad writing, worse grammar, no punctuation, and an ugly design, that might be okay for a niche crowd. But the idea here is to achieve mass appeal, so fix yourself up a bit. Publish regular updates: Simple: the more you blog, the more traffic you'll get. Think of your audience: A good way to build an audience is to speak to one in particular. When you keep your audience in mind, your writing gains focus. Focus goes a long way toward repeat visitors. 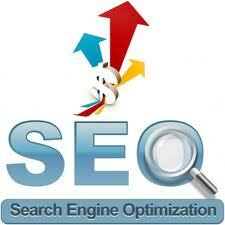 Keep search engines in mind: There are a few things you can do to make your blog more search engine friendly. Use post titles and post page archiving. This will automatically give each of your post pages an intelligent name based on the title of your post. Also, try to be descriptive when you blog. A well crafted post about something very specific can end up very near the top results of a search. Keep your posts and paragraphs short: Strive for succinct posts that pump pertinent new information into the blogosphere and move on. Keep it short and sweet so visitors can pop in, read up, and click on. Put your blog URL in your email signature: Think of how many forwarded emails you've seen in your day, and just imagine the possibilities. Sumbit your address to blog search sites and directories: People look for blog content at Technorati every day, are you on their list? You should be. Submit your blog's url to Technorati, Daypop, Blogdex, Popdex, and any other site of that ilk you come across. Link to other blogs: Links are the currency of the blogosphere and it takes money to make money so start linking. Install a blogroll: It's a very simple yet effective social networking scheme and it has the same result as a simple link if not stronger: traffic! So if you don't have one yet, sign up for a blogroll and get that link-list going. Be an active commenter: This is in the same vein as linking. Most comment systems also provide a way for you to leave a link back to your blog which begs a visit at the very least. So if you feel inspired, leave a comment or two in your blog travels. It behooves you. Enable Following on your blog: Following a is a great way to keep your friends updated on the latest activity on your blog. New blogs will have this blog feature enabled by default, but for older blogs you will have to enable it from the Layout | Page Elements tab.